Some people know that I have a minor obsession with Vermouth. It started in Minnesota when I was on a quest to find the ideal Manhattan. I knew that for this drink to make sense, I had to find the ideal blend of high quality ingredients with proportions that balanced flavor, texture, and temperature. 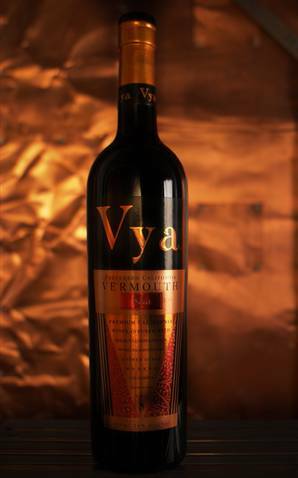 This personal quest is what eventually led to a California produced Vermouth called, Vya. I fought with my distributor for 2-3 months to bring it into Minnesota, as it was discontinued, and they were iffy on its quality. But after pounding my head against the wall for what seemed like an eternity, I succeeded, and the perfect Manhattan was born – or so my lush friends readily admit. If you can, go out and make one. Seriously, heaven is only a step or two away from this. That said, when I arrived in Spain, my friend Juan introduced me to Vermut al Grifo, Vermouth on Tap. This was the next revelation in the world of Vermouth, as I realized that this “mixer” is a drink that is meant to be sipped and nursed by itself or with a splash ofÂ soda. Catavino HQ is now never without a bottle of Vermouth to share with friends or to finish a long day at the keyboard. We’ve visited producers to understand how it’s made, we’ve written articles on its splendor, but it wasn’t until yesterday that I felt like the story hadÂ resolution. A few days ago, we met Andrew and Laurie Quady. 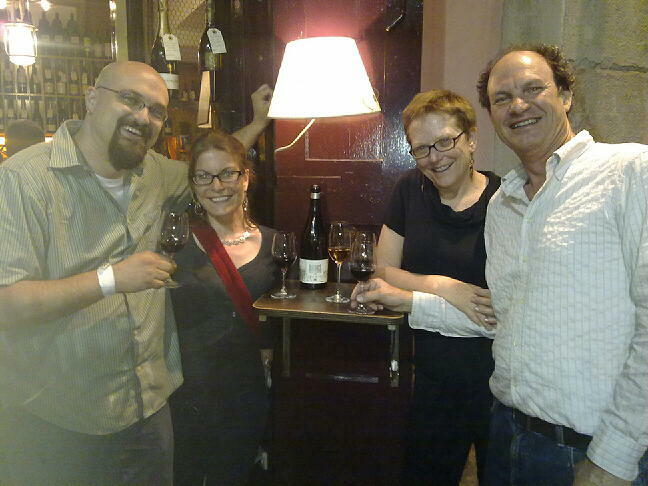 In town, as a result of the Vinoble sweet wine festival occurring this week in Jerez, the Quadys made a special stop through BCN for one evening to say hello, and both Gabriella and I are glad they did. Two of the nicest and most passionate people we’ve ever met, they embody the curiosity and excitement that first made me fall in love with the world of drink. Meeting them was a bit of a dream, which is why I ensured that our first stop of the evening was to enjoy a vermouth and soda at Bar Roure. The next 9 hours were spent exploring wines, tapas, and conversations that ran from politics to the economy to how the FDA has a list of “allowed” herbs which can be used in Aromatized Wines. Needless to say, the night was too short. And as a result of the excitement and animated conversations, we unfortunately, never had a proper interview. After 4 different wine bars, and various bites of cured meats, cheeses and more, we sat on their hotel terrace at 2:30 am mixing Rob Roys from the minibar’s selection of whiskey’s and the two bottles of Vya that they had kindly brought for us to share. I promise to talk more about Quady’s wines in the coming days, paralleling wines here in Spain, but for now, I’d rather focus on why our evening was a great example as to why I love wine. “Geeking Out” on tech facts, history and vintage charts is fun, but when you find a wine experience that spurs conversation late into the night, where the only reason you leave is pure exhaustion of the body but not of the mind, this is why I love the world of wine. Where someone like Andrew Quady, a person who I admired from afar while selling his wines in Minnesota, ends up being a quirky, animated, loving human being whose dream is to dedicate his life to improving his vermouth (if he could). Andrew’s wines are beyond definition and would be utterly belittled if bestowed with a “point score”. They are wines made of conviction and passion. They are also wines that in their pursuit for quality have led to odd experimentation and strange combination of ideas. And as a result of this greatness, they still make me continually seekÂ for something new. We look forward to tasting his newest experiment Deviation, made with Damiana and Rose Geranium.Â Damiana, according to Andrew, was used in Mexico as an aphrodisiac, a quality that he hopes comes through in the wine. Thank you Andrew and Laurie. Your passion and love for wines are a testament to all wine makers that wine is not about points, prestige or snobbery, but rather the journey. I know we will continue to follow their journey, and please stay tuned to Catavino, where I hope vigorous research into the effects of Damiana are laid bare.